AF10 features an advanced road car aerodynamic package. The package includes a radical front wing separated from the main front body clam and strong air intake side pods. These features have taken influences from Lemans racing cars and F1 cars, however perform specific functions for the overall performance of the car. Split radiators have been used for the front and Oil radiators have been postioned in the side pods including air intakes. Active front and rear wings have been used to achieve an overall impressive aeropackage for high speed stability and low speed grip. The position of the front wing is unique to the current car industry today and is a signiture to the Arash Cars family. The 7 litre GM unit has been used for the AF10. Final power output is estimated at 550bhp at 6000rpm. The unit has been specifically chosen due to excellent supply of parts and backup from GM Uk and its reliable emmission compliant power delivery. Servicing is minimal due to the unstressed nature of the engine as well as ease of installation into the AF-10 chassis. Grazianno Trasmissioni have been chosen as the supplier of gearboxes due to the reliable power handling and good supply chain for transmissions to the UK. The transaxle unit can be found in many high level OE cars today. Full carbon and steel frame chassis with steel front and rear crash structures and cradles. 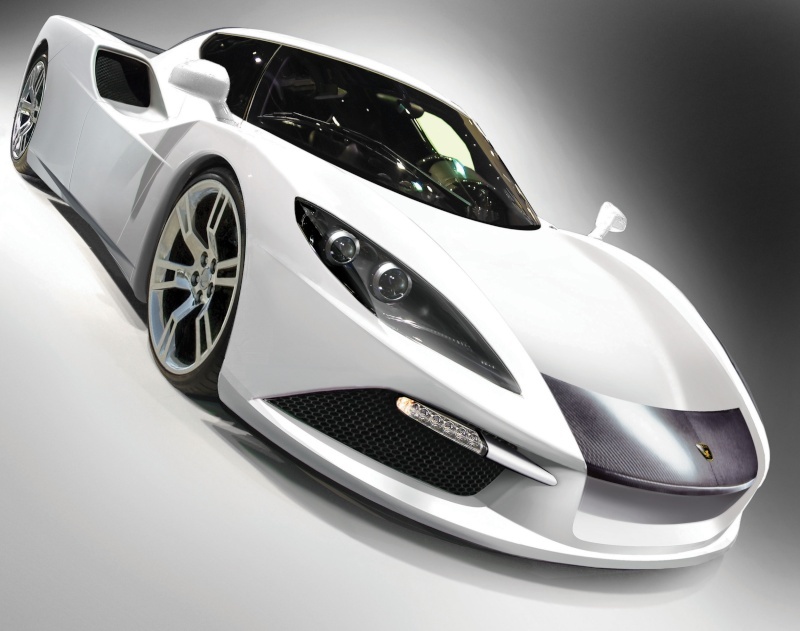 The chassis has been designed with kpi angles to achieve sports car feel but supercar presence. All wishbones are double format and have steel tubular structures. All uprights are internally designed to fit AP racing 6 pot carbon ceramic discs and callipers. All carbon fibre with honeycomb and nomex sandwhiches have been used to achieve weight reductions and built in stiffness advantages. All bodywork is hand laid up and cured at the Arash Cars facility in Cambridge. Strict quality control is carried out without the need for x-ray inspection. All manufacturing of main components will be carried out in Sawston due to such low volumes of cars being released to the market. An estimated 25 cars will be manufactured per year with a small number being delivered to the US market in LHD format. Outsourcing for machining and main OE parts will still be maintained, however a need to manufacture chassis and body components are essential to achieve control and quality control.